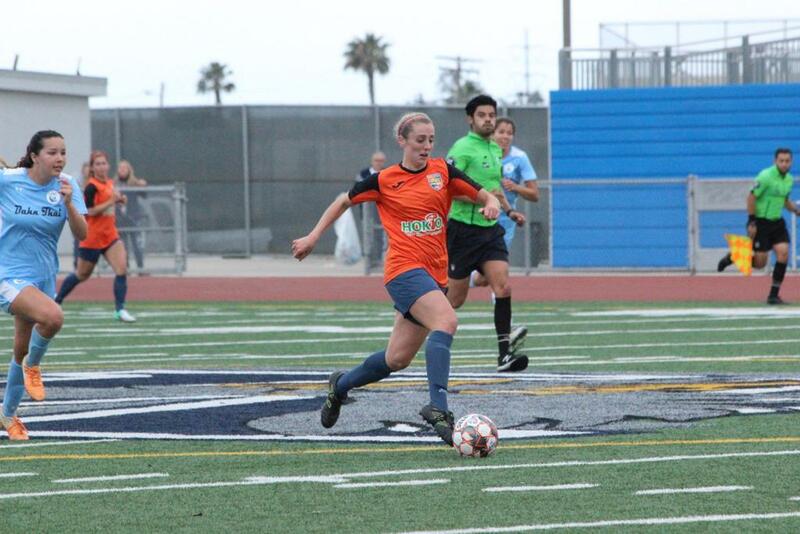 San Diego Parceiro Ladies earned their first victory on Sunday thanks to a hard-fought home battle versus perennial WPSL title contender San Diego SeaLions. After seeing the two clubs trade scoring chances for the most of the first half, Mary Reilly scored a spectacular goal via Chloe Frisch's quick-footed pass in the 55th minute. "This team showed great heart playing together for the first time against a very tough opponent," Parceiro Ladies coach Lev Kirshner said. "I think this game will be a great confidence builder for us by showing that we can compete with anyone." The SeaLions entered the opening match with a revamped squad made up of several new players and led by new coach Lu Snyder, who took over for Jen Lalor after she accepted a position with the United States Women's National Team. Parceiro Ladies had the most scoring opportunities throughout the match including an opportunity that hit the post twice just before the end of the first half. The SeaLions were able to create a couple of breakaway opportunities but were denied both times thanks to Parceiro Ladies goalkeeper Amy Schwartz's quick reflexes. Despite having most of the second half to find an equalizer, the SeaLions could not create any clear scoring changes for the remainder of the match against a well-disciplined and organized Parceiro Ladies backline. "I chose to play for this team because it's a new team," Parceiro Ladies midfielder Nikolina Musto said. "I'm excited to be in at the start and a part of the building process." SD Parceiro Ladies will go on the road to face FC Tucson Women at Kino North Stadium on June 1st followed by three more road matches. The team will not play another home game until June 23rd against Phoenix Del Sol. Note: This article is from a WPSL club contributor. If you are interested in having your articles about the local club you cover published to this site, please email WPSL Communications at jpoling@wpslsoccer.com.